They say you haven’t really been to the Solomon’s until a gecko shits in your hair. Ok, so maybe they don’t really say that – but having been the victim of countless droppings followed by their infuriating cackle, I’m officially declaring it a right of passage. Like a warm splat to the forehead our Solomon’s trip started with an unpleasant jolt. 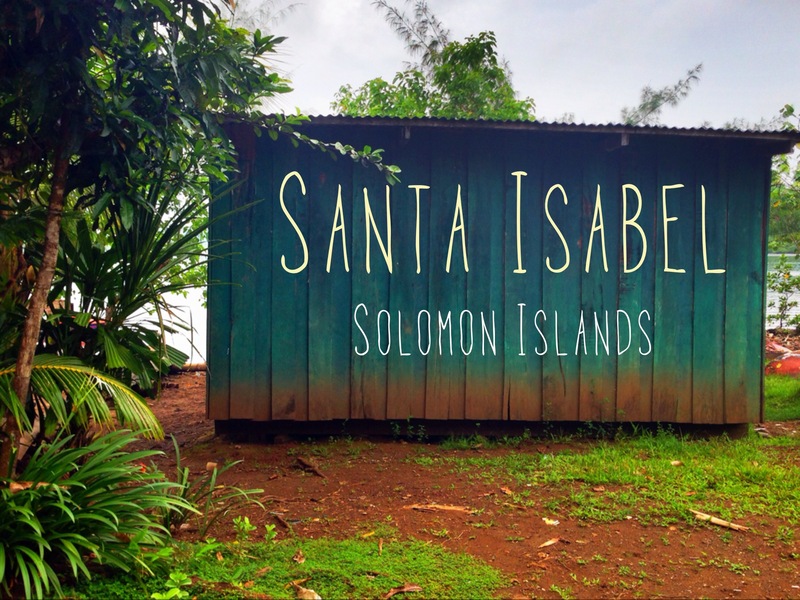 Our journey to the remote surf retreat on the island of Isabel required an overnight in Honiara. Never in my wildest dreams did I imagine we would be stuck in rush hour traffic in this tiny one-road town giving us plenty of time to take in first impressions. They have some serious domestic violence issues. Countless billboards advertising crisis hotlines, support groups and my favorite “Don’t forget to take your 10 minute walk today” lined the street as we entered town. Shoes are clearly optional in this town. Vampires can walk in the sun. Half the population seemed to be frothing at the mouth with a ghoulish red substance in such volume they had to spit in on the street. The streets looked like a murder scene, splattered with the sticky red pools that I soon learned was Betelnut. 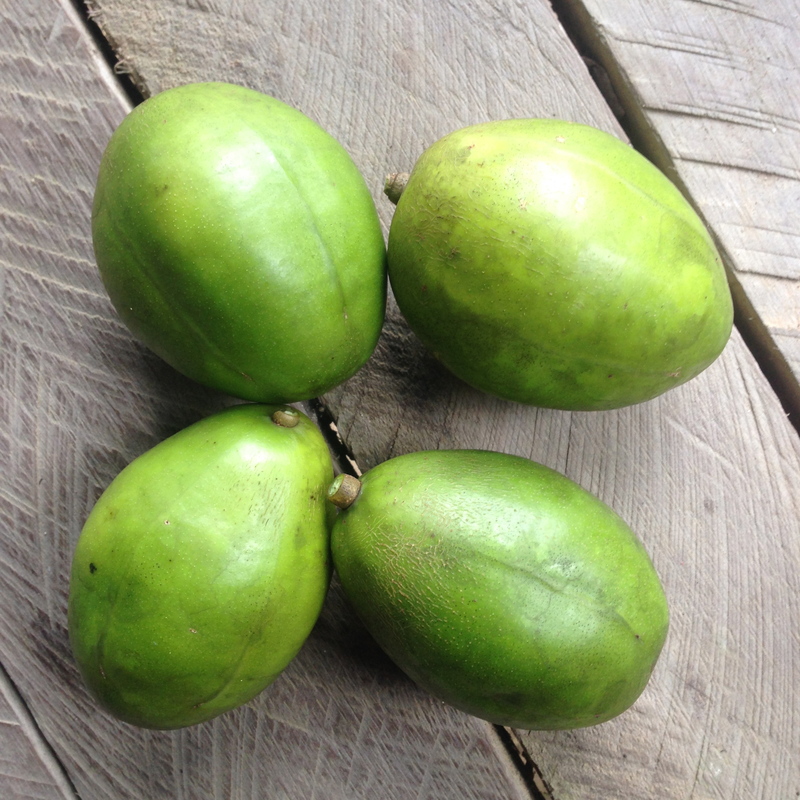 Islander’s equivalent to chewing tobacco: mix the nut with some lime powder and a bean-like green leaf – and wait for the buzz. Blood stained teeth for life are an added bonus. High schoolers in powder blue uniforms congregate in masses in the streets, blonde afros and rich silky complexions ranging from creamy caramel to deep eggplant. Dusty dirt roads and shop after shop selling chicken wings. 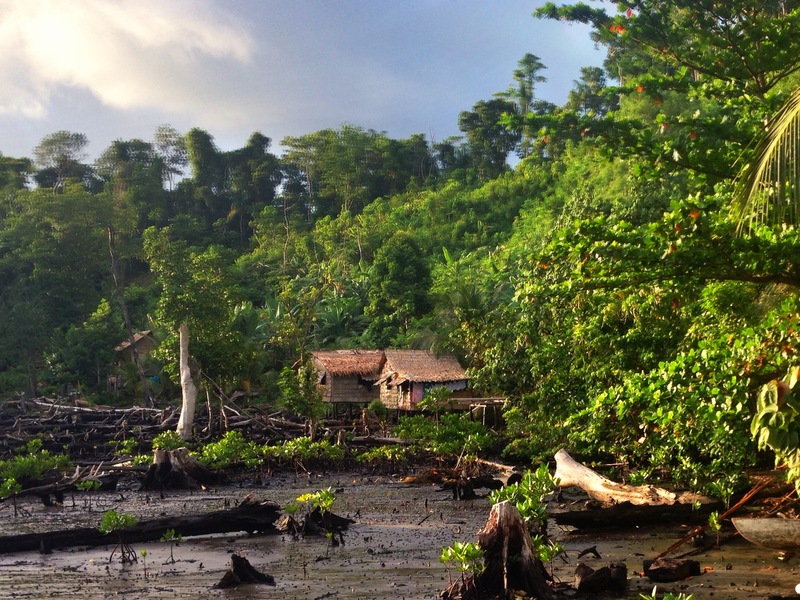 These were the first impressions of Honiara. After acquiring some much needed bug dope (Dengue is no joke), my treasured soy milk (score!) and a $35 USD bottle of contact lens solution, we enjoyed our last air conditioned room for the month and were ready to get the hell out of Honiara and start our island adventure. 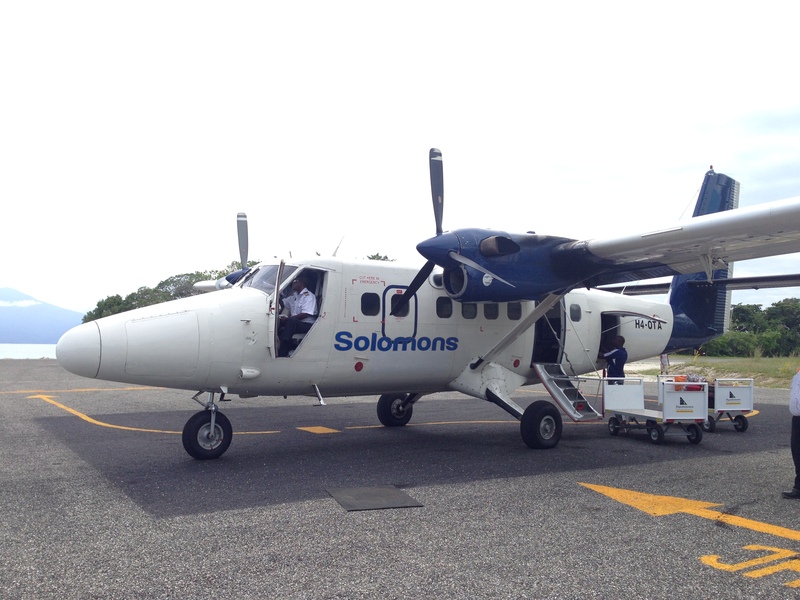 Our 12-seater Twin Otter prop flight to Suavanao had one stop, at the tiny airstrip of Fera 45 minutes from Honiara. For the last 20 minutes I’d been trying to avoid touching the roach invested window trim. 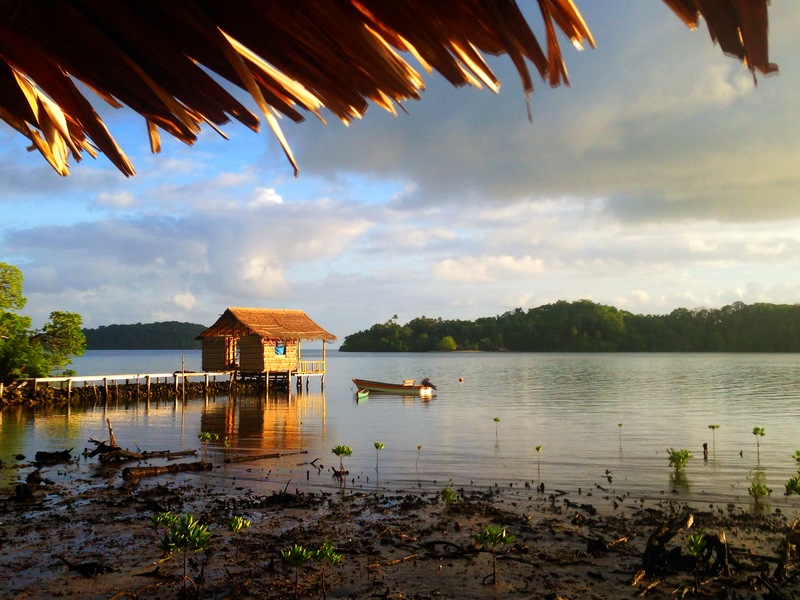 Everyone else disembarked, they loaded up the new group heading back and the pilot turned to us (he was practically sitting in Eric’s lap we were so packed in there) and said “Going back to Honiara” “Oh no – not us, we go on to Suavanao” “Not today” he replied. The grass runway had flooded and we couldn’t land. Sweet. “Tomorrow?” “Maybe” he said, but the look on his face read – doubtful. Headphones on, one eye on the roaches, we head back. And like any well seasoned traveler we don’t dwell on the fact that we’ve lost a prepaid day in surf paradise – we shake it off, hit the gym, then the pool and treat ourselves to whiskey cokes & sushi dinner with our new found Kiwi surfer friend, Rod. By some miracle we not only get seats on the flight the next day (same plane, Fly Solomon has about 2 planes that service the whole country) but as the plane touches down on the grassy strip we burst into applause! WE MADE IT! Greeted with smiles we wade through the swampy edge of the runway to our boat. The next 160 minutes was a test of endurance. After 10 glorious minutes of scenic smooth sailing we hit the open ocean and the wind picked up. Wedged between Eric and the toothless mother of the captain, I dug deep for my inner zen to calm my nerves and make the minutes pass as the boat heaved with every wave and slammed down like a anvil hitting cement with such force that we broke the wooden backrest. Suddenly – I remembered the laptop, and the hard drive containing every photo from our 6 months of travel and with every SLAM of the boat I saw them being battered into oblivion before my eyes. Is that the anchor on my backpack?!?! When I couldn’t take it any longer I begged the captain to stop the boat so we could rearrange – Eric & I each holding one of the carry-ons, our Apple Store of devices divided between our white knuckled grips. My legs may be black and blue when we arrive but those photos will not be lost damnit! The motor stalls, twice, and when works the sound is deafening. My lower back is shot and then the most horrifying realization of all – I just started my period. But as we took our first steps into the village that was to become our whole world for the next 9 days, the trauma of the passage was washed away in the sea of blinding white smiles that greeted us. Our wooden, palm-roofed bungalow, spacious and simple consisted of a queen bed enveloped in pink mosquito netting, two bed frames acting as tables for our loot, and a covered porch big enough for a plastic table and four chairs. From every angle the view oozed paradise. 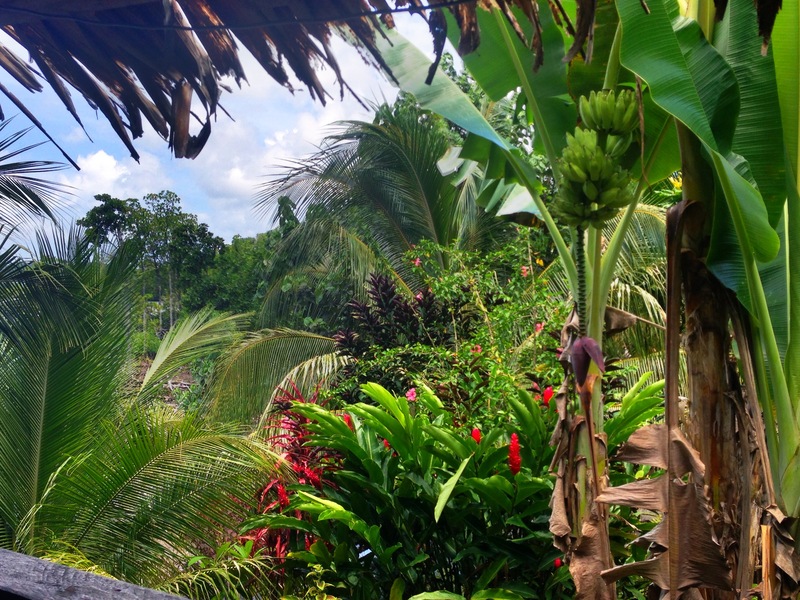 50 shades of tropical green, the fuchsia spikey flowers of wild ginger, banana trees heavy with fruit, and butterflies the size of your face. It took us a few days to identify the whoosh whooshing sound that came from overhead – a flock of Hornbills making their sunset rounds. This was no “surf retreat” – this was a bonified village home stay, two Americans, adopted by a family – foreign exchange student style. Mūrin (Vera’s niece) married to Mac (Dove tribe)– their son Phillipi (4, always naked, and the first one to sleep during any after dinner event). Samantha (Mūrin cousin) married to Jerold (from Choisel) their daughter, and Eric’s fav, Adele (3). 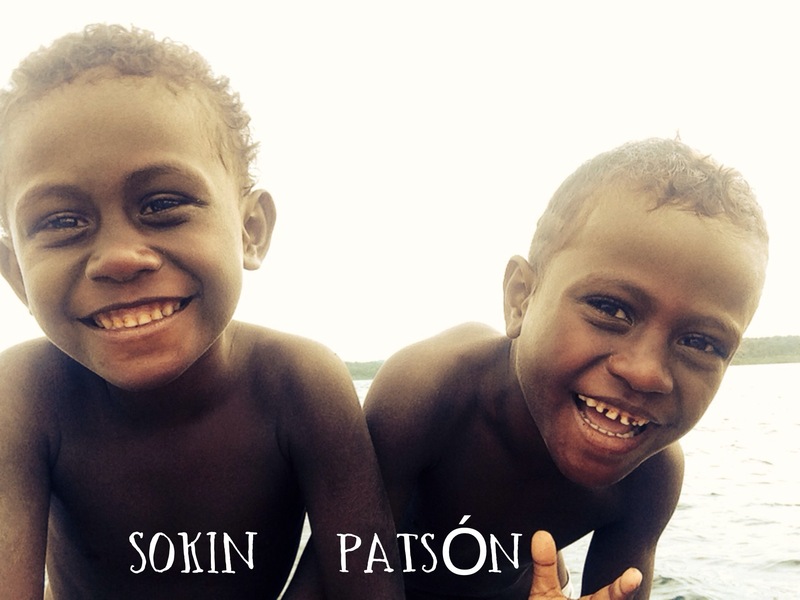 Patsón (5) & Sokin (4) – sons of Mūrin cousin. Staying with the Aunties while parents sort some things out. Across the bay is the family of another of Vera’s sisters, toothless Annette, who we rode in with and a 5 minute boat ride toward the surf break is another small village (and by village I mean 2-3 bungalows and a few communal structures) where Lydia (Vera’s sister), and her Kiwi husband Gary, live with her grown children and their families. 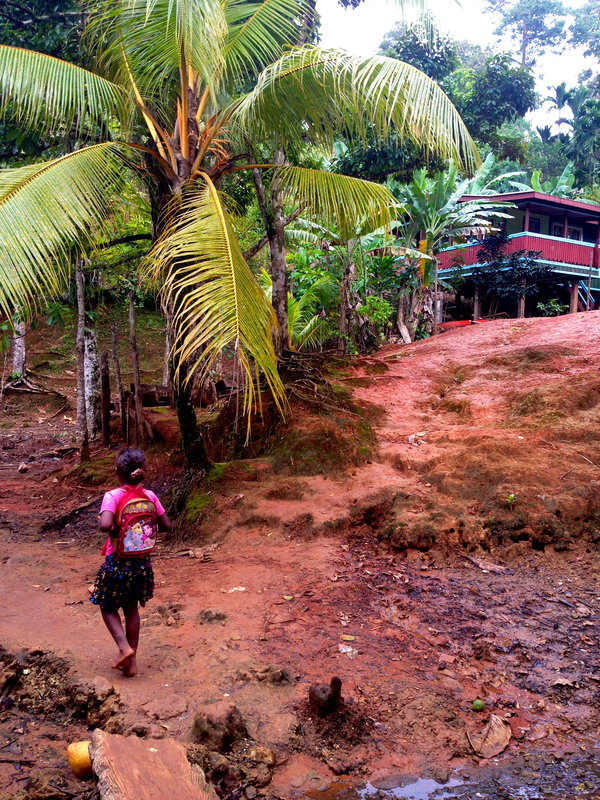 When the children of the Solomon’s hit age 5 they go to school. 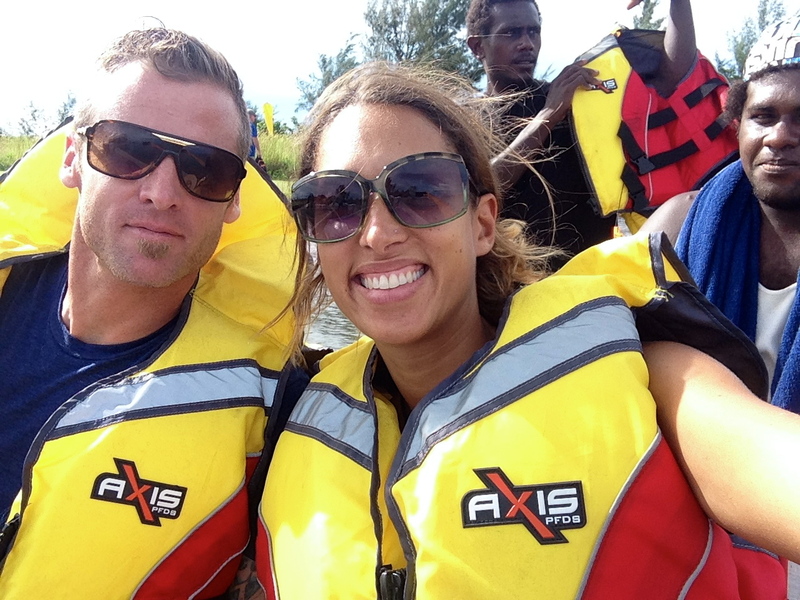 For the Kagata kids that means leaving home for either Kia (30 min boat ride) or Honiara. They go to live with family there and come home on holidays – meaning they are likely separated from mom and their known family structure at a very young age. Understandably, this is stressful to the families but education is highly valued to this tribe and they make it work. Lydia & Gary are in the process of building a school in their village and when its done (hopefully by end of year) Mūrin and Samantha’s 9 yr olds can come home, and Phillipi and Adele will be spared the pain of separation so young. Living in Kagata was like stepping back in time witnessing a hunter gatherer tribe in action. Completely self sufficient (minus boat petrol) without electricity or refrigeration they collect rainwater, lights run off solar power, fish for their dinner, cook veggies (taro, potato, peppers, onion, cassava, squash) from the shared garden, and communicate by radio. Needless to say, my soy milk was a short lived luxury. Patsón was the first “pikinini” to befriend us. I’d retired early to read in bed under the net and didn’t get far before being engrossed in the conversation between Eric and his new little buddy. Little brother, Sokin, tried to join in but Patsón shooed him away, mooning him to drive the point home. This one’s all mine. They discussed Bruce Lee, kungfu, IPads, birds, the benefits of showering vs swimming, and the size of their comparable muscles. Patsón soon became a regular visitor, climbing trees to provide us with endless Inkori fruit (hard, tart, crunchy) and often sitting quietly drawing with our gift of colored gel pens while we read next to him. Soon the crowd grew when Sokin was allowed back, Phillipi (still naked) joined in and Jerold and Nono would come by for afternoon drawing and jam sessions on a tiny red kid-sized ukulele. They drew ships, palm trees, fish, and what could only be Beavis holding a bong. Bob Marley and weed. No matter how deep in the bush you go, they’ve already been there. Peel to eat inside is crunchy like an apple but tart with a hard pit like a peach. Mornings started with sunrise and a check for surf. I’d usually stay behind, enjoy a meditation and a leisurely read before joining E for breakfast upon his return. 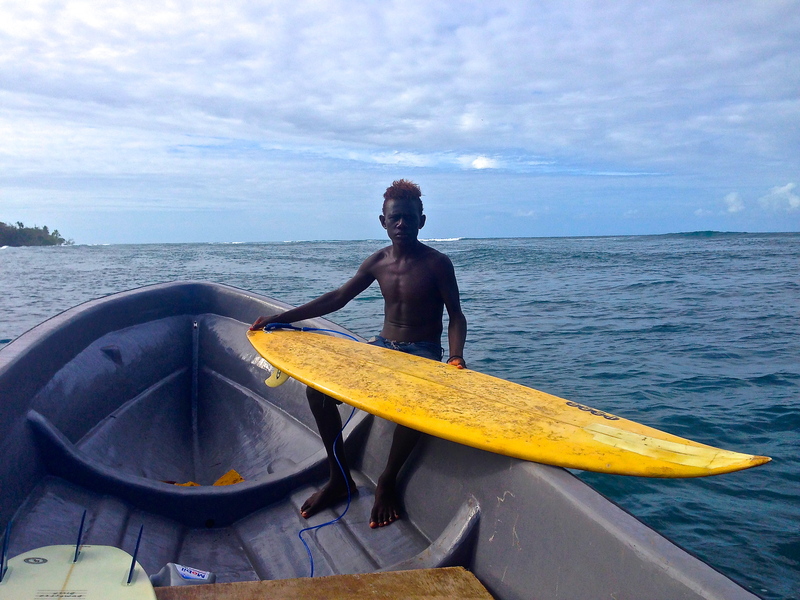 For the afternoon surf (sharp reef means waiting for high tide) I’d go along, often times accompanied by a posse of little boys. While E, Jerold (sporting the new board shorts E he gifted him) and Nono (always singing to attract the swell) shared waves and cheered each other on, I played games with the boys like “scoop the jellyfish” with half of an old plastic jug and tried to keep them from killing themselves with the knives and screw drivers they insisted were toys. I caught Sokin trying to untie the boat from the buoy once, and panicked as Phillipi dangled overboard with the mask to see the fish. Can these kids even swim?!? Nono in an uncharacteristically serious moment. That question was soon answered upon Nono’s return when he grabbed 4 yr old Phillipi (still naked) and chucked him in the sea. Down he went and up he rose! Swam like a fish. Next thing I know he’s paddling into the surf on Nono’s board, still naked, and fearless. Nono dove in after him, joined him on the board, and together they caught some inside waves. His shrieks of delight could be heard for miles. Patsón was up next, as they brought the board back he could hardly contain himself. Leash on, and off he paddled, solo – after all, he IS 5 – into the break. Jerold screaming at him to get inside. Big smiles, he returned after a few tumbles, and humored me for another one of my endless photo shoots. I love these kids. 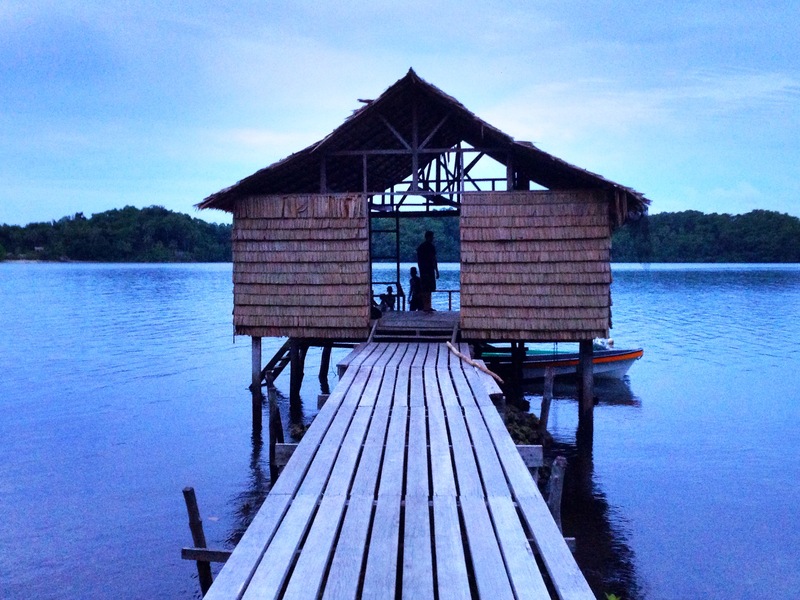 Evenings started with the clang of the dinner bell as Mūrin or Samantha called us to the “Mess” bungalow. Bummer for you if you don’t like fish because besides the night Don shot a dove that Mūrin served up, it’s what’s for dinner. They seemed to use the words Dove and Pigeon interchangeably and I ask you this – are they so different? And why do we celebrate doves and vilify pigeons? Either way, I’m sticking with chicken. It’s a matriarchal society in that the land is passed through the women and the girls always stay with their tribe, husbands moving to the wife’s tribe. Apparently the husband’s family can offer to buy their way out of this arrangement and “acquire” the wife to come to the husband’s tribe but in many cases, Mūrin’s included, the Chief rejects the is offer and the new hubby gets to packin. Each tribe has symbol such as Eagle (Kagata tribe), Dove, Friggit, Millipede, and my fav, Banana. It is forbidden to marry within the tribe (ie. Eagle to Eagle) and as Mūrin vividly depicted by sliding her index finger across her throat in the universal sign of “punishable by death”, not recommended. We kicked off “movie nights” on my birthday with a screening of “Chasing Mavericks”. The entire family huddled around my laptop, their eager faces illuminated with the mesmerizing blue light as they gasped, sighed and tsk tsk tsk’d with rapt attention. Movie night relocated to our porch and became a nightly ritual, watching one half and finishing it the next night as to not stay up too late. We watched Surf’s Up (their favorite), Point Break (too violent) and Goonies (totally lost on them). They say it takes a village to raise a child and that was certainly the way of Kagata. No sign of that big city domestic violence problem here. Jonathan was in a different family member’s arms every time we saw him, often Donny’s. Nono would tease and cuddle Adele, and the young boys often spent the day in the boat with Jerold – Phillipi always the first in the boat declaring his position as “Skippah” and sobbing uncontrollably on the day he was left behind. On the rare occurrence when a child melted down in public gatherings like a meal or church, a young boy, 11 or so, would be the one to excuse himself and carry them out, consoling all the way. Adele. Her grunty little giggle brightened every day. There were no toys. Not a single one. The colored pens we brought were the height of luxury. These kids never once looked to an adult to entertain them, busying themselves in the mud with sticks and crabs, paddling around on boogie boards or climbing trees. 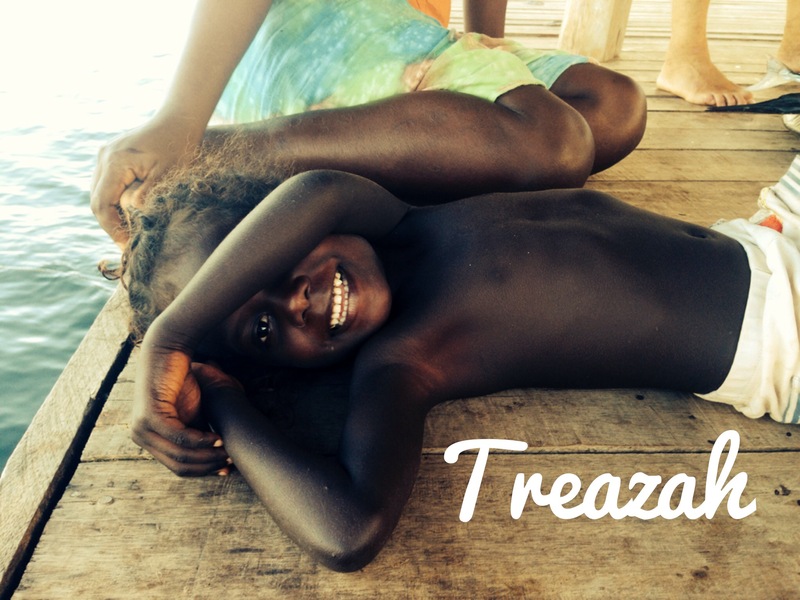 I held my breath every time they grabbed a giant machete to peel fruit, forgetting these kids gut fish! Once I saw one of the Uncles tease a toddler with a baitfish on the end of the line. Yanking it to and fro as he crawled and lunged with desperation across the boat dock to nab it. The land of helicopter-parenting, wet wipe warmers and “Mom! 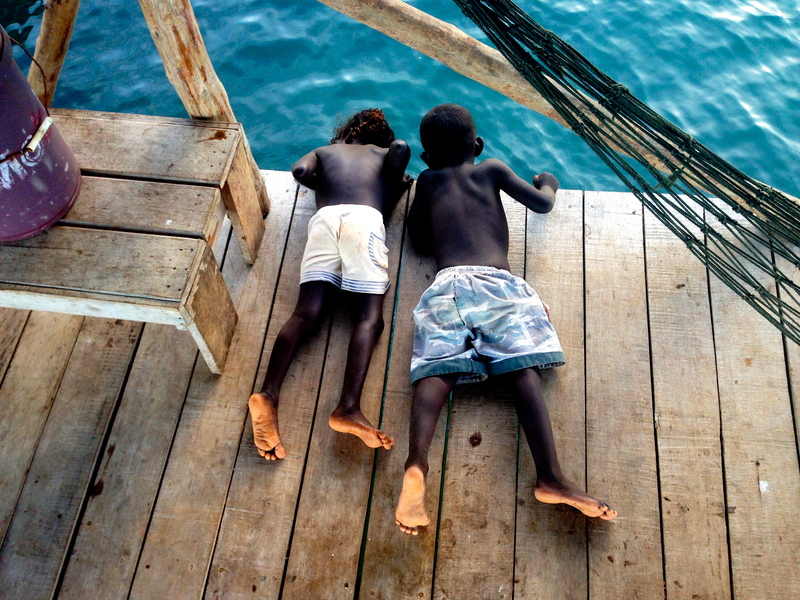 I’m bored” seems unfathomable when you see with what simplicity these kids are delighted. Something to think about next time you enter a Toys R Us…. And then there was Church. I haven’t been to mass in over 20 years but when the family invited us to join them we had to check it out. They are mostly Seventh Day Adventists which means Church is on Saturday and surfing is not allowed. The location rotates and today it was to be in Lydia’s sister’s village. It was the second day of solid rain. We packed up the speedboat with fish and veggies from the “motu” stone oven that had cooked overnight, and the children. Tarps were used to cover the baskets and create a little cave for the kids to stay dry. Samantha and I used the edge of the tarp as a blanket to shield ourselves from the pelting rain and saltwater spray. Eric took the bow – drenched. The rest of the family paddled ahead of us in the dugout, returning that night in the dark, still raining. Hell of a Church commute! Kia – the biggest village in Isabel ~300 people. One of these kids is doin his own thing…. Typical bungalow old and new. We only saw these raised gardens in the “big city” of Kia village – commonly they would be in ground large communal gardens. The church stood in the rear of the village, the only structure with a copper roof – a “gift” from a campaigning politician. They began with the singing of hymns, selected spontaneously by members the congregation. They said a prayer for a friend battling cancer in Australia and took a moment to recognize the 45th birthday of Annette. The mass was given in pidjin, the bible and hymn books all in English. Aside from a 15 minute intermission it was your typical program: readings, sermon, singing, and prayer. The most fascinating portion came during what seemed like a Bible Study section of mass toward the end. The preacher opened it up for questions and a devout young father in the group raised his hand. He spoke in pidjin but Eric and I compared notes later on what we understood from his question and the discussion that followed, and here is what we made of it. He understood that Jesus had taught his disciples for 3 ½ years and that all of the teachings were captured in the bible. It followed for him, then, that everything you needed to know was in the bible. How then, for those of us that cannot read or write, he asked, are we to learn and share the teachings of Jesus as the disciples did? The answers were varied. Come to mass and hear the teachings spoken, learn and teach living as a good Christian in everything you do, from building a house to tending garden. I had never considered the impact of illiteracy on their ability to deepen their faith before this discussion, and the concern and commitment with which he struggled with this constraint was moving. Mass ended with an invitation to stand and introduce ourselves to the parish (I’d counted 38 people by now). They were particularly interested in how old we were, where we were from and what we did for work. It may be another 20 years before I attend another mass, but I’m grateful for being invited in to share such an important part of their modern-day culture. Despite the rainy days, record breaking mosquito bite count, and sheets that burned like they were sprinkled with fiberglass, it was harder to leave this place than any we’ve visited thus far. It was not the epic surf sessions, the fresh crayfish dinners or the breathtaking scenery that made it hard to say goodbye, but the beautiful people who opened up their lives to us, welcoming us with open arms into their family. Typical day on our porch. Nono joins me for some yoga, Sammy draws nearby. Patsón is likely in the Inkori tree not pictured. The girls! Samantha, me, Mūrin and Jen w/ Jonathan. As the plane climbed high and the grassy runway faded into sea, I could still feel the warmth of Mūrin’s hand in my palm, holding it until the very last moment. And as their boat came into view, she could not be missed. Head back, chest open to the sky, arms outstretched, waving to us with her whole body. I sent her love until she was just a spec in the distance. We may have left Kagata for now, but Kagata will never leave us. I just LOVE your blogs! Made me laugh and cry! You have such a gift and write with such skill and humor ! Consider collecting these blogs into a book! Now I have a new trip on my bucket list: Fidji and the Solomon’s ! As “Mom of the lovely Lisa” I am sure I will be treated like royalty!! !